It was ‘the war to end all wars’, comprising over 60 million troops and lasting four grueling years. When the First World War broke out in 1914, few would have envisioned the bloody scenes that came to pass. In the fight for freedoms, millions died, civilian and soldier alike. Despite the bloodshed, the thirst for fresh recruits amongst the European powers never ceased. Men who in the normal course of events would never have joined the army suddenly became troops on the front line. As millions rushed into battle, army officials across the continent began to pay more and more attention to the type of training their new recruits were receiving. So how did soldiers from both sides prepare for War? Well it varied. Some soldiers were trained for months, others for weeks. Training times varied depending on the severity of fighting at any one time. If numbers at the front were low, training was unsurprisingly low on the list of priorities. From 1916 onwards however, the rush to the front had died down and soldiers from the Allied and Central powers began to receive more formalized training. A rough sketch of their training plans is provided below. New recruits in all armies were generally given three months basic training. The reason for such a lengthy bedding in period was simple. Halfway through the war, the caliber of many of the men enlisting left a lot to be desired. Hence three months was taken to increase fitness levels, teach rudimentary military skills and instil discipline. Typically a recruit’s day would begin around 5.30 a.m. when sleeping men where awoken by the familiar sound of the trumpet call. The next hour would see potential troops clean and tidy their quarters, get changed and assemble in the main courtyard. 6.30am would see the cadets parade up and down the courtyard for an hour to an hour and a half to improve their baseline fitness and discipline. At around 8 a.m. troops could finally enjoy their first meal of the deal in the form of a hearty breakfast. After breakfast even more time was spent parading outside, but this time with a great emphasis on matching and learning form form fours. Between 12.15 to 2 pm troops would return to the canteen for lunch before returning to their drills until the late afternoon. In the evenings some lucky cadets had access to games rooms, libraries and even buffets. The unlucky ones, placed in facilities leaving much to be desired, were likely to spend their time cleaning or shining boots in the evenings. This routine would continue for weeks, with little deviation. Once the trainers were satisfied that a basic level of fitness had been established, more specialized skills such as digging trenches, handling weapons or marksmanship were introduced. 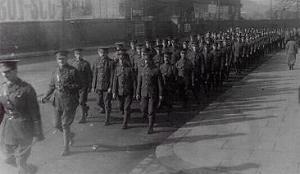 The Northumberland Fusiliers at basic training in Halton Park. After recruits had been trained in the basics and their fitness levels brought up to standard, it became time to separate the machine gunners from the cooks. Through fitness and competency tests recruits were divided into positions most suited for their particular skill set. Those chosen for front line infantry would continue their physical training, leaving hand-to-hand combat, route-marching, drills and so on. In desperate times, such vital training was as low as three weeks as bodies were needed for battle. Other times, men could spend months learning how to fight. Perhaps unsurprisingly given the often rushed nature of a recruit’s basic training, the bulk of a solder’s learning came on the job. Oftentimes inexperienced recruits were dropped into quiet battlefronts, so they could learn the ropes from those who had been fighting for years in some cases. Of course when necessity dictated it, unlucky recruits could be inserted into full blown combat. Timing was everything. Just because a recruit had made it to the battlefield, it didn’t mean his training was over. 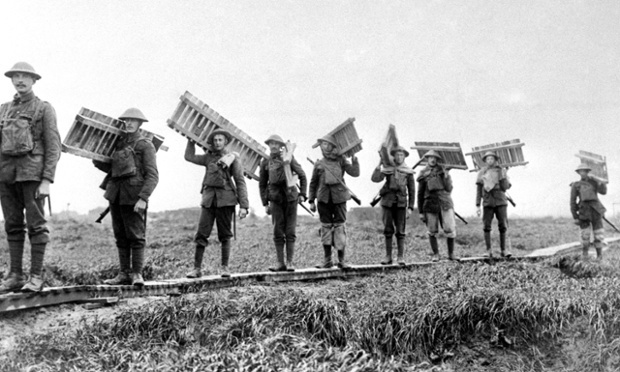 Whenever units were recalled from the front lines for rest, they were required to continue their training. This ensured they didn’t lose their sharpness for battle and that a unit’s cohesiveness was retrained. Occasionally these rest periods were also used to learn new techniques or to rehearse specific battlefield movements. When the first shots were fired in 1914, European nations were tasked with a seemingly insurmountable problem. A war had erupted that required millions of untrained men to take arms and defend their nation. 1914 to 1916 indeed showed how dangerous war could be for untrained troops. Few of us need to be reminded of slaughters such as Verdun or the Somme. 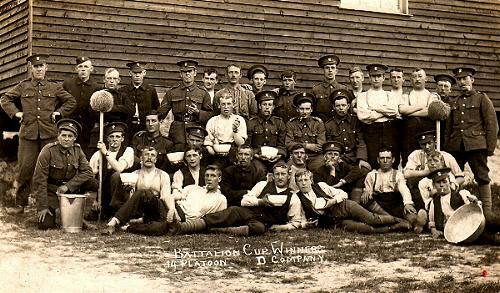 From 1916 onwards however, as the intensity of the war begin to fluctuate to a greater extent, armies on both sides of the divide devised a system of training that could take a untrained civilian and turn them into a professional solider in a matter of months. The training regimes were often brutal, but such is the nature of war.